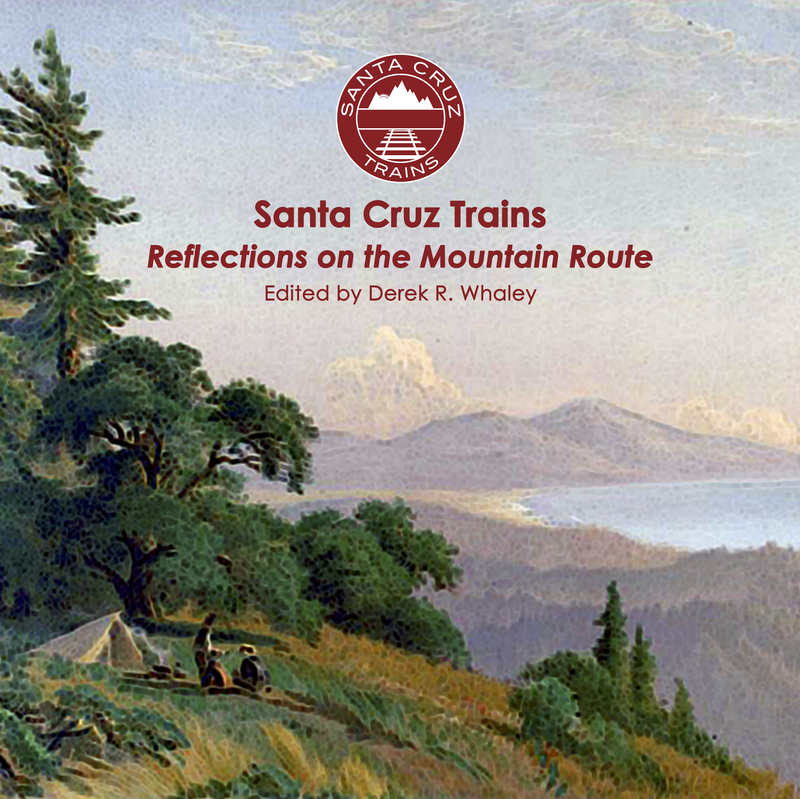 This chart represents the mile marker locations of all railroad stops in Santa Cruz County, as well as stops along Los Gatos Creek, the Pajaro River, and on the route to Monterey and Pacific Grove. 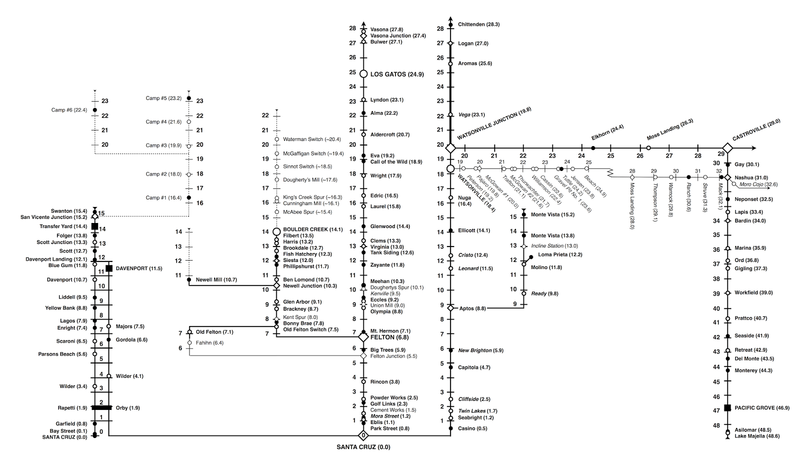 The sources for the information varies, with most of the Southern Pacific information derived from timetables dated to after 1912. 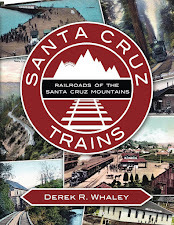 The Pajaro Valley Consolidated Railroad information comes from the appendix to Rick Hamman & Horace Fabing's Steinbeck Country Narrow Gauge (1985). The Ocean Shore Railroad information is from Duncan Nanney and Henry Bender. Mile markers for the San Vicente Lumber Company line and the Dougherty Extension line are estimated based on Google Maps measurements, with data provided from my own research and GPS information by George Pepper. Please click to enlarge and feel free to distribute, repost, or use in any way.